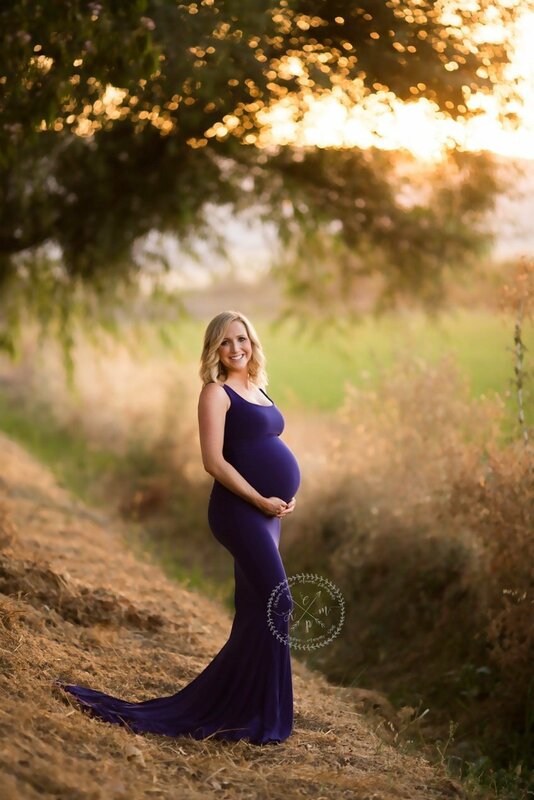 The Callie gown is a gorgeous fitted maternity dress. This gorgeous dress has a sleeveless design with a scoop neckline. The bodice is fitted throughout. Customize this gown with a thigh slit or tossing train, resulting in a fabulous dress delivering incredible depth and flow! Crafted in our luxuriously soft stretch jersey knit. This dress is made to hug every curve and deliver a beautiful fit, you will not be disappointed! Main Picture Color is Grape.